Frances Langford came to Lakeland in March 1946 at the request of Lakeland officials and as a guest of Florida Governor Millard Caldwell. The Lakeland native, vocalist and actress, had spent much of WWII helping Bob Hope and the USO entertain the troops. She was coming home to many honors, including being named honorary Lakeland Mayor for the day. 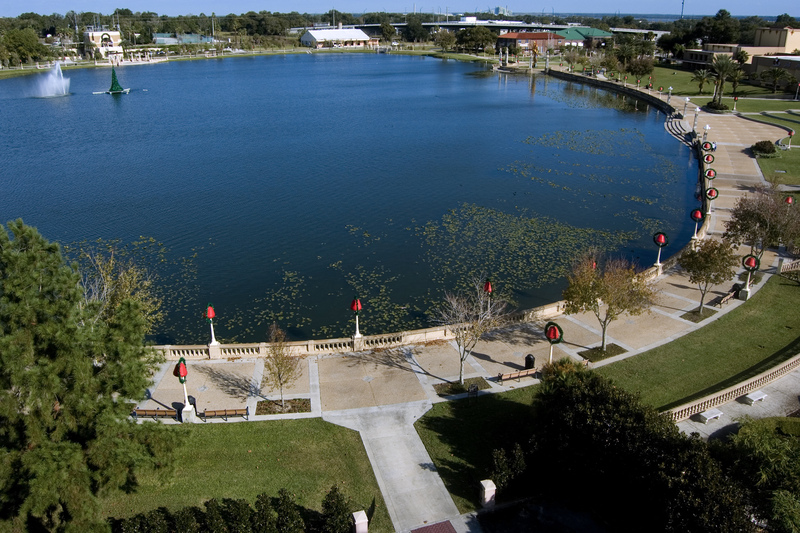 But the lasting monument to her dedication was the city’s decision to name the promenade around Lake Mirror in her honor. An honor that endures to this day. Langford’s memory had grown dimmer, but not forgotten, some 60 years after the promenade’s 1946 dedication. In 2013, Lakeland locals spearheaded an effort to return a marker lost during renovations. Just after the 100th anniversary of her birth, and 57 years after the original dedication, the City of Lakeland agreed to rededicate the Frances Langford Promenade. Funds were raised for the new marker and it was installed in November 2013. Thanks to David Dickey, Tom Hagerty, Chuck Welch, Abhishek Mukherjee, and the Lakeland Library History Room for photos and video. And a special thanks to every person and organization that reminds Lakelanders about the Frances Langford Promenade.